You spend years or even decades accumulating things and building up collections. It's the thing to do and a way of proving you are a success. For some people it is a way of making them feel secure. And then, just when you are feeling so pleased with yourself for having so many things displayed on shelves, stacked in cupboards and tucked away in drawers, with still more things in boxes in the shed, someone changes the rules. How dare they. Suddenly, minimalism is all the rage and the buzz word is 'decluttering'. 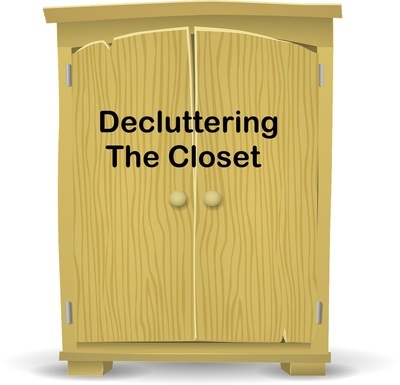 This decluttering applies to everything you have painstakingly accumulated, your books, ornaments, crockery, linen, furniture and even your clothing hanging in the closet. Or perhaps that is closets. Yes, at one time I had two. I also had two sets of chest of drawers and a couple of spare suitcases of clothes shoved under my bed. Most of the items were bought at sales or from op shops. I have heard it said most women wear 20% of their clothes 80% of the time. Sounds pretty accurate in my case. Decluttering came into fashion before I moved house four years ago. I managed to reduce my clothes collection to fit into one closet, one chest of drawers and one case under the bed. Since moving house I have acquired more clothes (and shoes and accessories). So, decluttering is an ongoing activity. I continue to make some 'mistakes', buying items I rarely wear. However, I am improving. Why, just the other day I picked up a pretty dress in an op shop. I knew the style would suit me as I already have a similar one in a different colour scheme. I like the one hanging in the closet at home more than the one I was considering trying on. But I don't wear the dress I already have very often, just when the weather is really hot. I returned the dress to the rack without trying it on, proof I am becoming more selective with my purchases. Six dollars saved. 2. Put anything you know is the wrong size, not your style, has bad memories or you just don't like anymore into a labelled bag to give to a friend, sell or donate. It is important to label the bag if you have a bag to donate, one to sell etc and want to avoid getting them mixed up. 3. 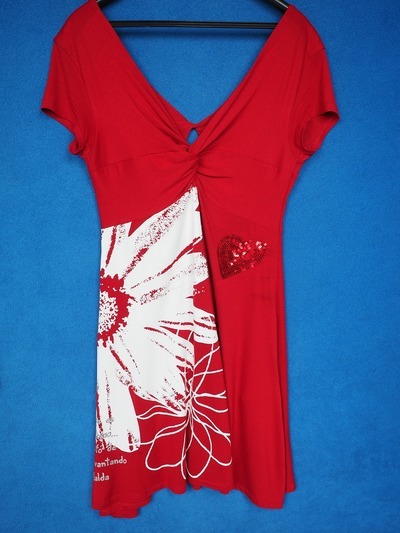 Try on any clothes you are unsure of and make a decision to keep or part with each item. 4. Return clothes you are going to keep to the closet or chest of drawers. Yes, I know you are tired, but don't leave them in a pile on the floor. 5. 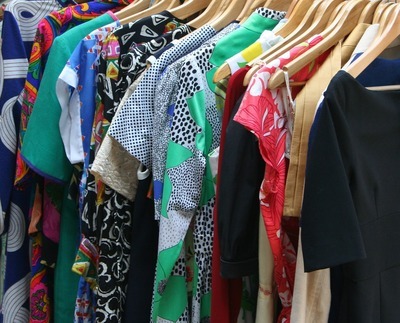 Make a list of anything you need to make your wardrobe more workable. You may now realise you need a camisole or a jacket in a versatile colour, or a slip to go under lightweight skirts. I have been surprised to find I don't miss the clothes I have parted with. In fact, I feel a sense of relief. Mixing and matching gives me plenty of variety. Accessories really do help to ring the changes. Decluttering my closet is worth the effort.